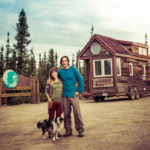 Mark Wipfli designed and built the Midnight Sun Tiny House on his property in Fairbanks, Alaska, after realizing he wanted to downsize from his log cabin. He now lives in his tiny abode and rents his log cabin on AirBNB. Also on the property: a vegetable garden, green house, pottery studio, hot tub, garage and chicken coop. Not a bad way to live! 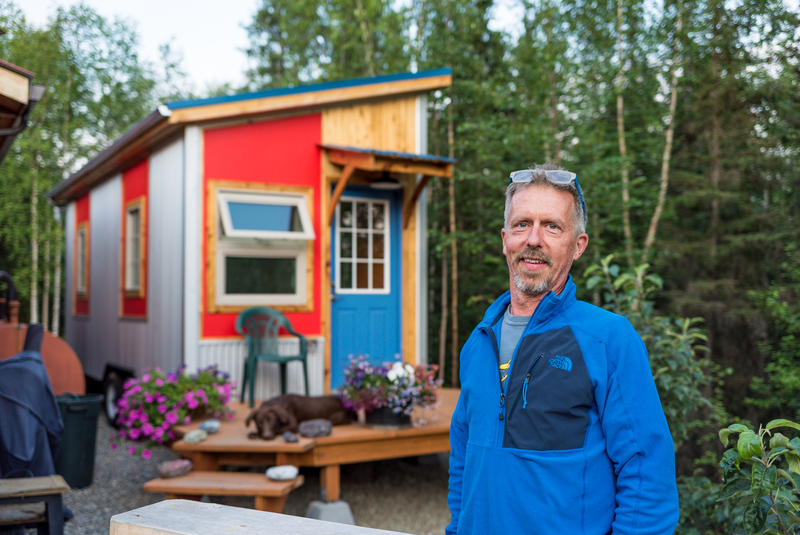 Mark insulated his tiny home to withstand the harsh 150 degree temperature differential between Fairbank’s summer and winter seasons. Last winter he was able to heat his minuscule home with only a standard electric space heater. In the summer, he relies on his shady parking spot and cross breeze to keep the space cool. So far, he has no complaints! 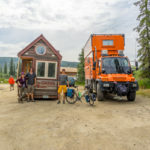 Could the Midnight Sun Tiny House be the most northern tiny house? We think it’s possible! We towed our tiny house to the Arctic Circle and took the title for one single day, but Mark lives in his northern tiny abode year round. We’re giving him the official title until it’s contested. Go ahead… prove us wrong. 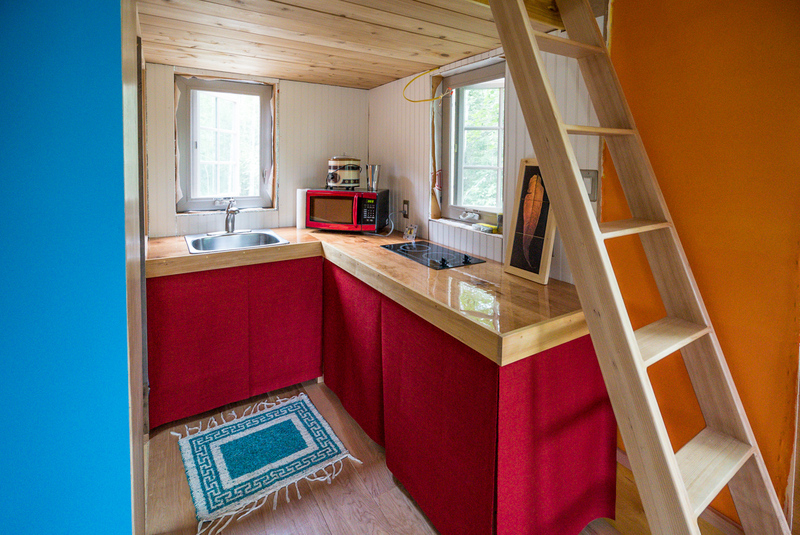 The Midnight Sun Tiny House flaunts a modern esthetic, emphasized with a mixture of exterior siding – correlated steel, painted exterior plywood and cedar. Mark reduces clutter inside his tiny home by storing the majority of his belongings in his pottery studio and garage, which is also where he pulls electricity. Although the house is not completely finished, Mark has been residing in the space for the past 8 months and plans to finish the plumbing and interior trim by this fall. 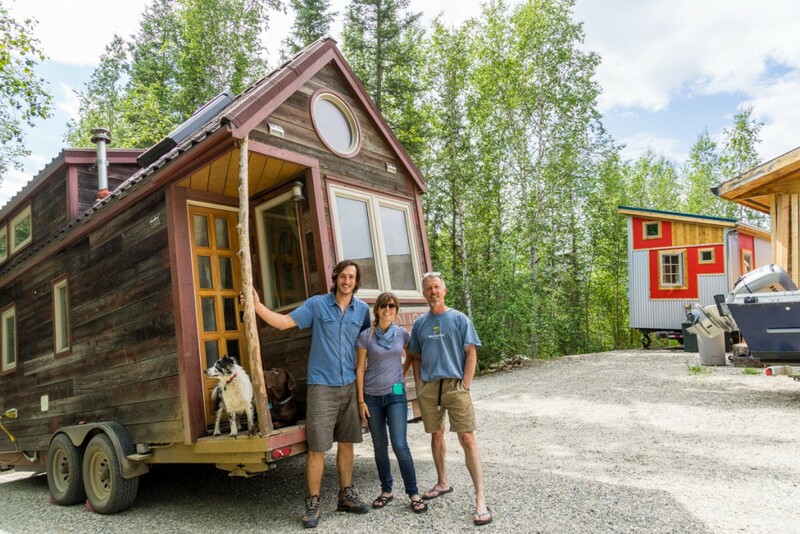 What is your favorite part of Mark’s Midnight Sun Tiny House? 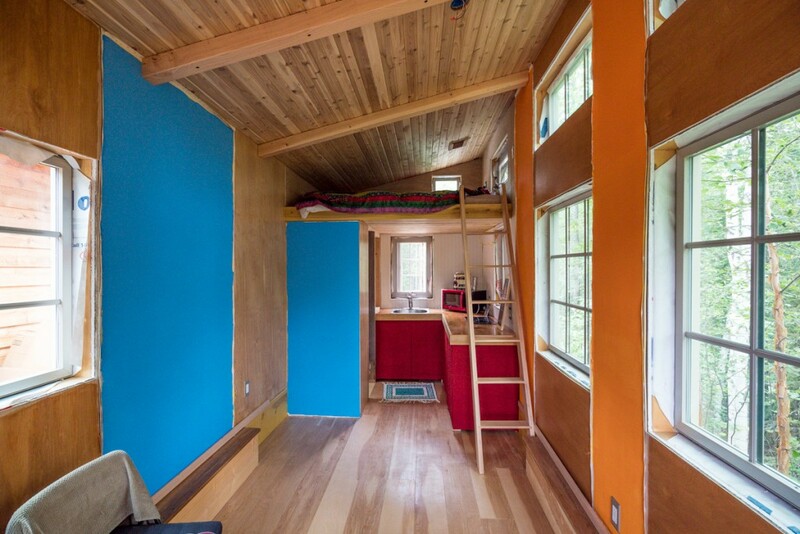 I’m a Fairbanksan just starting the design process for my tiny home! This is a journey in starting over, with my pup Dublin, two snakes, and my art studio being top priority in layout. I’m finding so much good advice here! 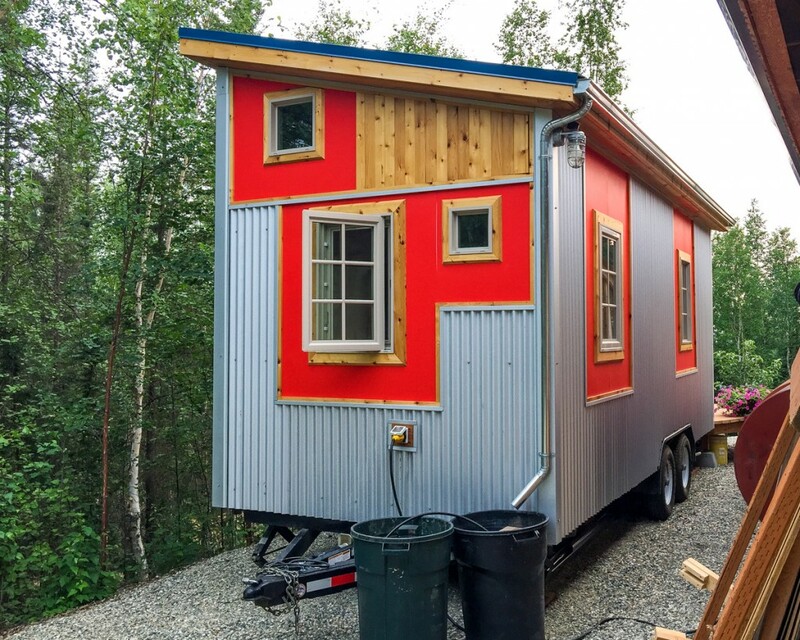 I am also in Fairbanks Alaska building a tiny house. I contacted Mark, but he appears to keep to himself. As to the question about the shower pan, it could be done in fiberglass and fiberglass mesh to reinforce the corners. Another product that would work would be Hydro guard on top of cement board. This is basically the way the tub enclosures are prepared for tile. Red guard it’s another product that would work. These are essentially paint on rubber products. While these are waterproof by themselves, for a more finished appearance either fiberglass paint or just going with ceramic tile would work too. There are also ready-made commercial floor pans/enclosures too, but if your tub is an odd shape you’re out of luck. Hi Troy! I’m a Fairbanksan just starting out on this project and am wondering where to get my frame built. Where did you get yours in Fairbanks? Thanks!